Spelling You See, A T.O.S. Review | My Journeys Through Life . . . Herding Cats In New Mexico! ← Weekly Wrap-Up . . .Boy, am I TIRED!!! Having been given the opportunity to review with my younger two boys (our twins, “Mr. Loquacious” and “The Puzzler”) an advance pdf copy of a very newly published program, Spelling You See, and knowing that it was coming from the publishers of Math-U-See, a program I have heard nothing but good about, I really wanted to give it a go with both boys. They are both (finally) coming along nicely with their reading, especially given that when we adopted them four years ago at the age of 8, they couldn’t spell (or read!) much beyond their own names, but having seen phonics programs fail with them, I thought this just might be a good change. 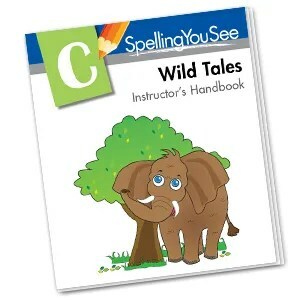 I was given Spelling You See: Wild Tales (Level C) to use with my boys. I will be completely honest here, and tell you that I was not SURE that this program would work, or even that they would like it at all. My father taught me to read before I ever began school, and he used phonics, even though I don’t believe he called it that, or even knew that was what it was. So, when I began homeschooling, I did what I call “school in a box”, from a big name company, with a very strong phonics spelling program. Guess what? It had worked for me, but not so much with my kiddos. Before choosing the level I would want to review, I went to Spelling You See to check out their “Readiness Guides“. I did find that both boys easily read the material for Level C, but when asked to write the same material, missed quite a lot, therefore I chose Level C for them. One of the BEST things about this program, one that means an awful lot to my boys, is that it is not set up by grade levels, rather by skill/developmental level. 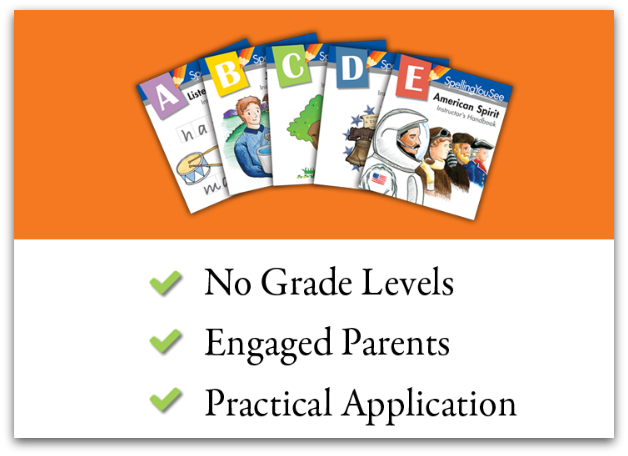 We have tried things in the past that were marked actual grade level, and they balked mightily about it, because before we adopted them, they were supposedly “in the 3rd grade at their public school”, and didn’t want books that said they were “in kindergarten or first grade”. 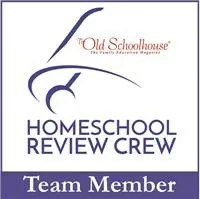 We have been really enjoying the way this program is set up, it is perfect for boys with very short attention spans (which I freely admit describes my boys, LOL!). Here is how this program does NOT work . . . there are no spelling lists, no tests, etc. In Level C, for example, we begin with nursery rhymes, which I happen to think is great, as they are part of our heritage. By lesson 8, they will have moved on to short stories involving different animals. Each week begins with learning which letter groups to look for to mark while “chunking”, which is what Spelling You See calls marking letters that come in small groups, such as special sounds made by vowels, or consonant blends. After practicing the “chunking” on that week’s nursery rhyme or story, the student then goes to the second page to do copy work, and doing the same exact chunking on their written work. The second day, the two workbook pages are a repeat of the first day. Then, we come to day three, which is in part a repeat of the first day, but the copy work is different in that a different portion of the rhyme or story is being copied each day. 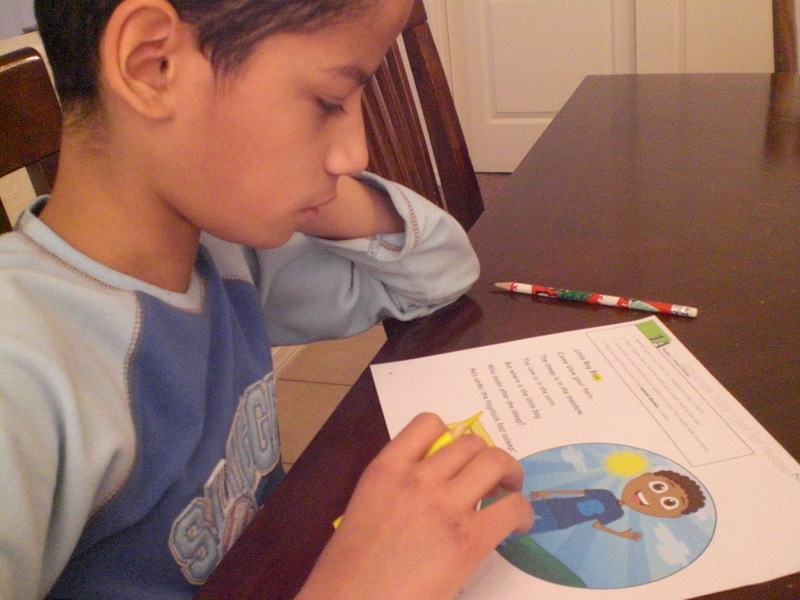 Day four, the student will read and chunk the passage, but then he or she will draw or write his or her own story. Spelling You See calls this “no rules” day. On the final day of the week, the rhyme or story is read, the chunking completed, and then your student(s) will write it while you dictate it. You are supposed to use a timer for ten minutes, and stop when it goes off, even if they haven’t finished writing. 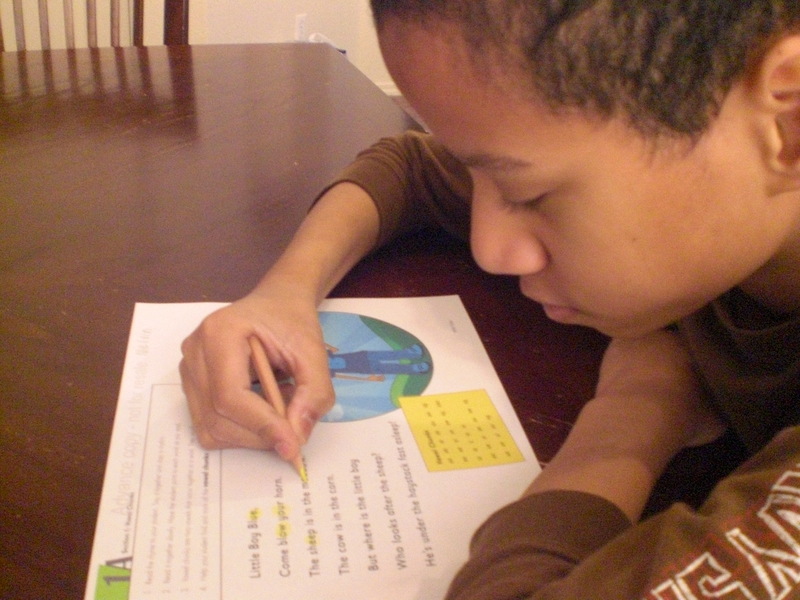 The goal is to be learning to spell, not to be fast ( I’ll admit, that one is tough for “Mr. Loquacious”, who always wants to “win”). Here we are during the first week (the only time they didn’t balk at pictures), reading the passage while clapping each syllable . . . Here is “Mr. Loquacious, following the “chunking” instructions for the specific vowel sounds called for. That particular week, they were to mark them with the color yellow. Each different “chunking” group is coded with a different color. Here is “The Puzzler”, doing HIS chunking . . . This program is certainly living up to what I have always heard of the company that produced it. BOTH of my twins enjoy it, and have asked more than once if they can do more than one day at once. The only thing they didn’t care for (and really, the only one who cared was “Mr. Loquacious), was that on the copy work pages they are not given the three lines with the dotted line in the middle. In fact, a direct quote from him was “Mom, they forgot a line on the paper”, LOL! By now, I’m sure you’d like me to let you know what you will receive (and what it will cost) should you choose to purchase this program . . .
Do I feel this program is worth the cost? Yes, I do. My twins are seeing “patterns” in words, which I believe will aid in their improved spelling. American English is not the easiest language to learn how to spell, as we all know, and I think this is going to help them. Are we going to continue to use this, now that our review period is over? Yes, we are. As I said before, even my boys are happy with it, which I think is a GOOD thing! To read what other Review Crew members thought of this and other levels of Spelling You See, please click on the graphic below!